PORTLAND, OREGON NOVEMBER 8 2016, At The Election Night Party.. Stock Photo, Picture And Royalty Free Image. Image 78214808. 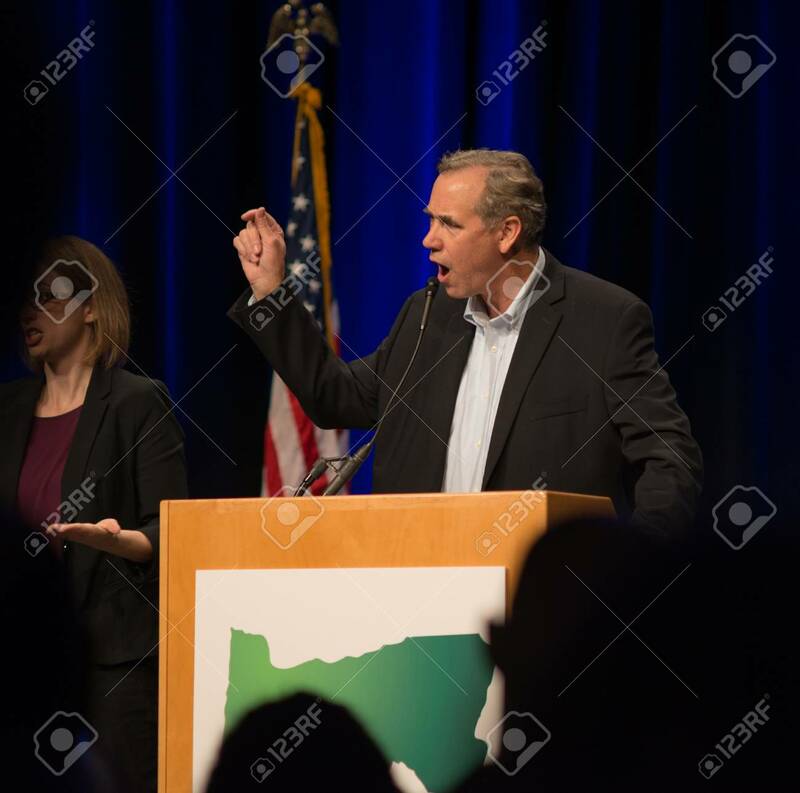 Stock Photo - PORTLAND, OREGON NOVEMBER 8 2016, At the Election Night Party for the Oregon Democratic Party, Senator Jeff Merkley speaks passionately before introducing Ron Wyden for an acceptance speech. PORTLAND, OREGON NOVEMBER 8 2016, At the Election Night Party for the Oregon Democratic Party, Senator Jeff Merkley speaks passionately before introducing Ron Wyden for an acceptance speech.